The fans pick: I don't like it, but I don't judge her for it. Do 당신 own all 16 of Dolly's albums? The fans pick: No- that's too much! Have 당신 ever seen Dolly live? 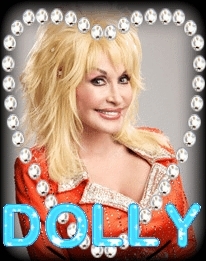 Have 당신 heard her album " Blue Smoke "
This Sunday, 8/7/16 I am taking my 90 년 old mom to see Dolly at Ravina in Chicago. I would 사랑 for my mom to meet Dolly. Could that be possible? She adores Dolly. Thank 당신 very much. I had an old eight track with (Deportie) and (Down in the Mine) They are two of my 가장 좋아하는 songs can I get them on a disc? WESTLAND, Mich. – When Brenda asked her daughter Amanda what she wanted if she could have any wish, Brenda already knew that Amanda would say she’d want to meet country 별, 스타 Dolly Parton.